Our groups offer you the chance to learn alongside others who, like you, care enough about the people around them to put in the time and effort to do something about it. Participants will expand their understanding of themselves and deepen their ability to work with the challenges they face. Attending the group allows people to become more intentional and intelligent in there responses, rather than reactive. The group provides a very supportive environment where people are treated with respect and dignity. All of this facilitates the transformation of anger into maturity and growth. The cost per person for attending a 6 week group session is $520 tax and book included. Sliding scale is available for those on IA or disability. To register, a non-refundable $100 deposit is required.  We accept Interac e-transfer, cash, cheque, Visa, American Express and Mastercard. For our graduates, the fee for repeating the group is $300 (plus $20 if you want an updated book); our drop-in rates are $50 per session (tax included) available only to those who have already attended the full six week program. 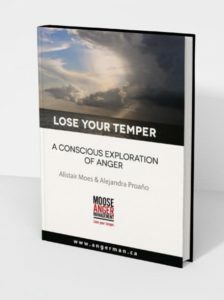 Each new participant will receive a copy of the book Lose Your Temper (for men) or Healing Anger (for women) at the beginning of the group. Just click on any of the above links to go directly to the Eventbrite page to sign up. The Burnaby sessions for men are held at the intersection of Royal Oak and Sanders St in Burnaby. Please read the full directions on the contact page of the website. The Downtown address is #204 – 402 West Pender (at Homer). The Surrey location is at the City Centre Library in room 418, 4th floor. Women and men face different challenges with respect to anger. For many men, anger is often the only emotion that they feel is socially acceptable for them to express; for women it is often the only one they feel they are not supposed to have. Historically, women’s anger has been judged as wrong and dismissed, whereas men’s anger has been encouraged or celebrated. In our Healing Anger Groups for Women, we offer a safe and supportive setting where women learn to relate to this emotion in a powerfully caring and constructive way. The Healing Anger Groups for Women run every 7 weeks and are held at our Downtown Vancouver office located at Suite 204, 402 West Pender Street at Homer. The next groups for women will start on Thursday, April 18, (6 weeks, 12 hours). Just click on the above date to link to the Eventbrite page to sign up. Call, text, or email to sign up or click a link below to visit Eventbrite.